Novia Brides also sells beautiful Yolan Cris shoes that perfectly compliment the wedding dresses. 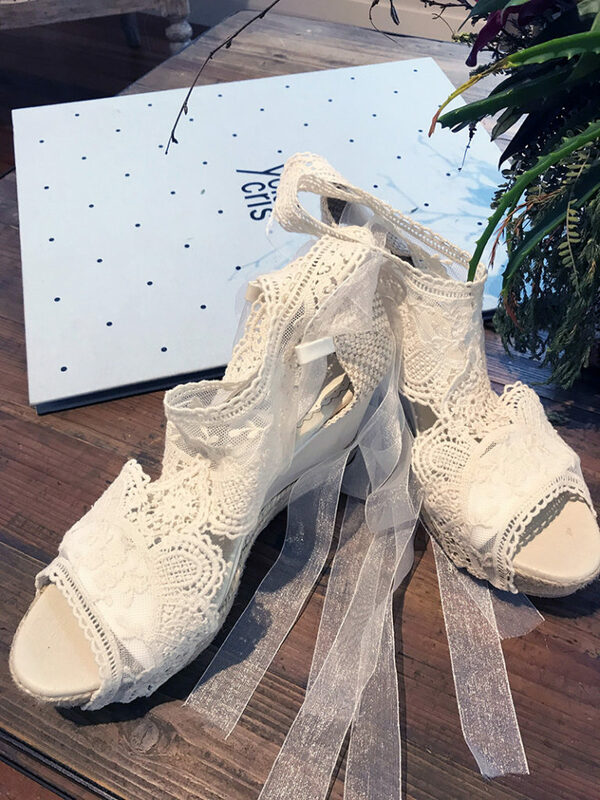 We have a wide range of beautiful sample shoes designed by Yolancris for you to try with the dresses. 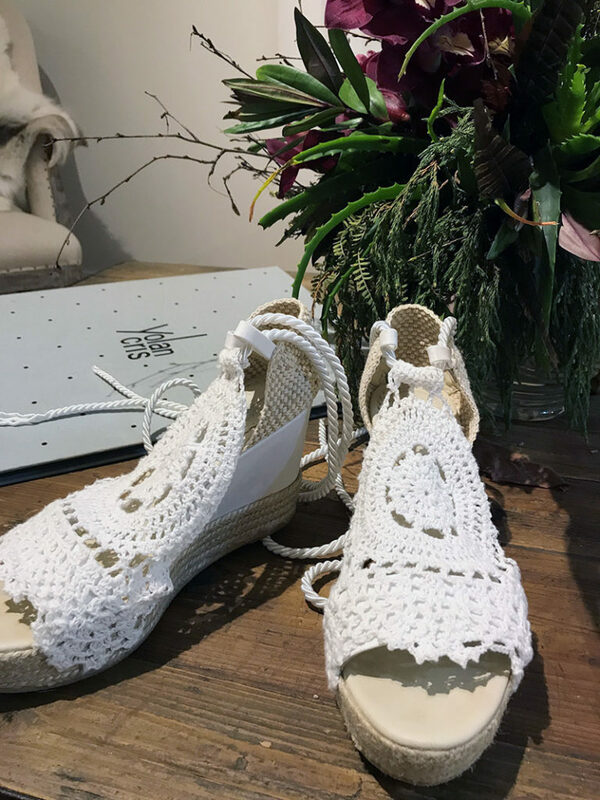 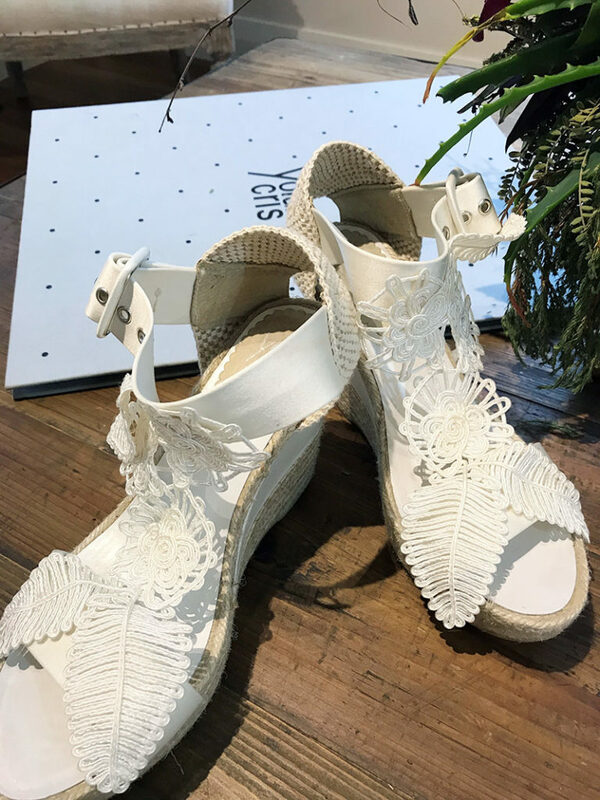 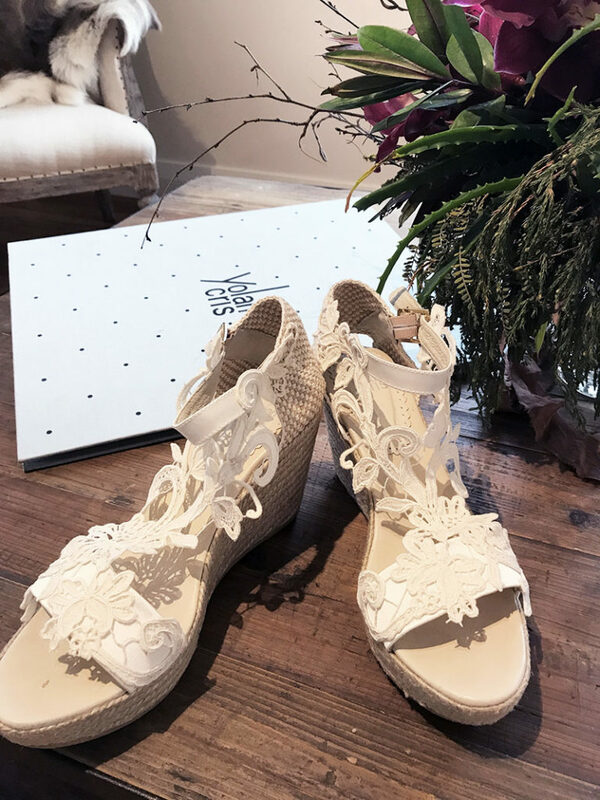 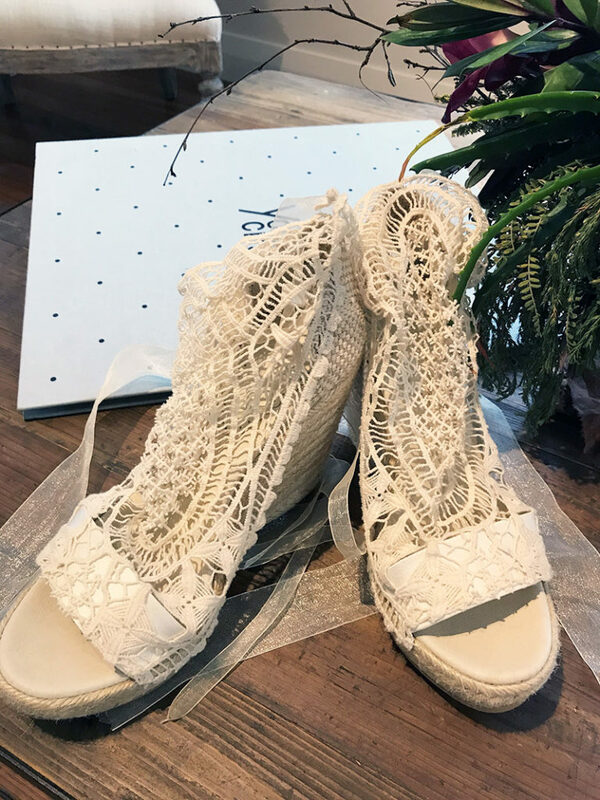 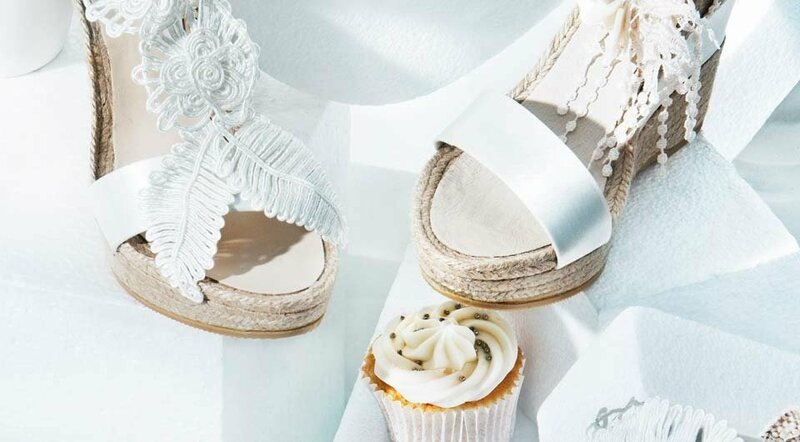 Perfect for the Boho and beach bride, these shoes are hand made for each bride in Spain with espadrille wedges and leather insoles, beautiful detailing varies on each shoe such as mother of pearl and lace. 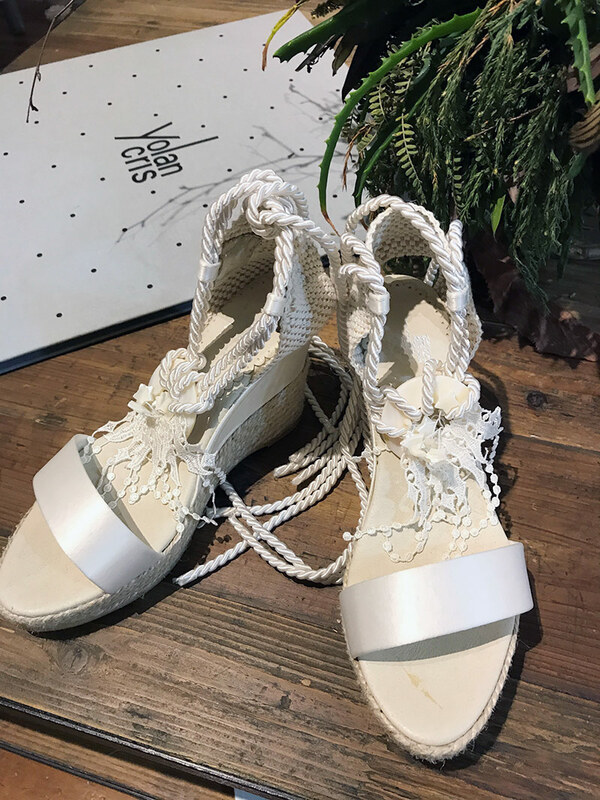 The shoes are ordered for you and sent direct from Barcelona.